The photo shows a snippet of a handout I use as a discovery activity for solving systems by graphing. It shows the use of color coding as well. 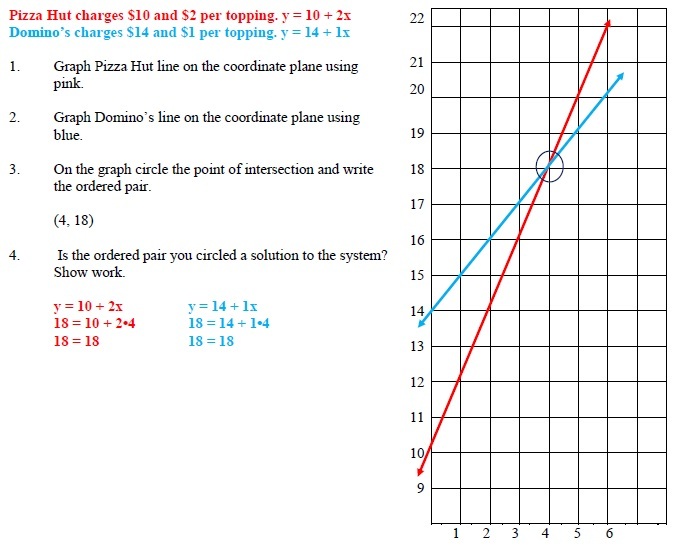 I start the lesson with a do now handout that reviews graphing, checking a solution for a system and previews a word problem modeled by a system.